Web Push Notifications mean a channel for communicating with customers who visited your store at least once and agreed to receive special notifications from their web browser. You can set it up in your store without having to install extra scripts or integrating external solutions (as it is with competing solutions). 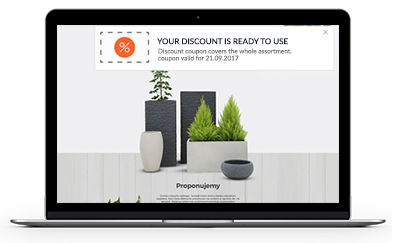 Display Web Push Notification in your customer's browser which, regardless of emails you send, inform about the newsletter , the progress of handling the order, promotions , discounts, or product re-availability. Web Push notifications can also be sent to those who have not signed up or made purchases at your store, but have agreed to receive notifications in the browser. Getting to your customer with information about the progress of the order, promotions or product re-availability has never been so quick, simple and cheap. Web Push notifications appear as popup windows in the browser, but they are not considered as spam or advertisements, so they are not blocked by AdBlock. With Web Push notifications, you can display a specific information in your client's web browser, not just on the desktop computer screen, but also on mobile devices. Interestingly, information will appear in the popup window also when the person for whom it is targeted is not on your store page, and will also be able to "wait" until the user turns on their browser. On mobile devices, Web Push notifications will be presented as simple notifications which are showing up when using different mobile applications. Web Push Notifications as a supplement to emails, text messages, marketing automation, and email newsletters. In IdoSell Shop, Web Push notifications complement the email and text messages, marketing automation and email newsletters. You can set it up in your store without having to install extra scripts or integrating external solutions (as it is with competing solutions). 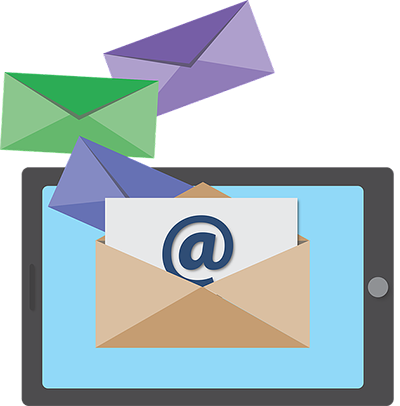 All you need to do is to have the E-mail Marketing Pro service enabled. What can you use Web Push notifications for? An invitation to subscribe to notifications that appear on your store, as well as any Web Push notification you send, may be personalized, in the form of another icon, depending on the type of message sent. Do you have questions about Web Push notifications? Before you reach for the phone, check out answers to frequently asked questions.